Vote for Knickernappies in the Babble Best: Cloth Diapers awards! 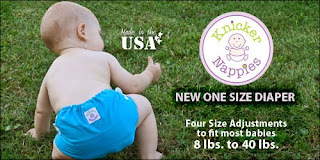 We're so excited to have been nominated and would love it if you'd vote for us in the Babble Best: Cloth Diaper Awards! Simply click on this LINK and scroll down until you see Knickernappies and then vote! All you have to do is click LIKE, you don't have to subscribe to anything or even give out your email address, it's that easy! Thanks so much for being a fan of Knickernappies!